Best performing African nation and why? Lotfi Wada: I’d say Nigeria..Their group is not as tough as the other four teams and they have a mix between experience (many players of the 2014 edition are present) and talent. And Morocco if they manage to get out of their group as they’re surely the most complete African side to qualify. Salim Masoud Said: Morocco will acquit themselves well, whether they make it past the group stages is another matter.They’re the African team with the least IFs about them. Sam Crocker: If any of the African nations are going to do well this tournament, they’re going to have to do some defending. 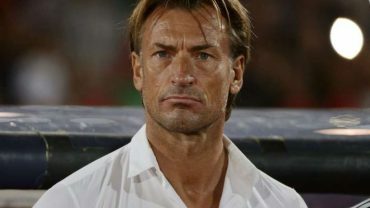 Renard has an excellent track record of putting together organised, well-drilled teams, and has a decent group of players to work with. Theo Sakyi: Morocco – they’re solid at the back and generally a well drilled team. They’ve also got some great technical players like Hakim Ziyech, Mbark Boussoufa and Younes Belhanda, though centre-forward is a problem position. Having said all that, the difficulty of their group means that being the best performing nation from Africa doesn’t guarantee them getting past the group stage. Will an African nation make it to the semi finals? JB: Not this time. While no top team is looking complete, equally all the African teams look a little weaker than the cohort four years ago. That said, we could see up to three going through, and that would be great for African football. LW: Sadly I don’t think so..If we get two teams in the second round like in 2014 it’ll be formidable. When you start building a hut you build the base first! Let’s first ensure a continued presence in the KO stages then we’ll be able to talk about semis! SMS: I fear our European brothers and sisters will have to roll out the “why is African football failing?” articles once again. TS: No. Morocco have an outside chance but the others have huge limitations. Which African player will shine the most? LW: Mo Salah can if he’s really fit. SC: Keita Balde has been quietly having a very good season at Monaco, stepping into the shoes of Kylian Mbappe. With the bucket load of strikers at Senegal’s disposal, and the presence of Saido Mane, can be easy to forget about Balde, but has the potential to make up a quite exciting forward line. TS: Senegal are in a group with no real heavyweights. Japan are vulnerable to pace in behind and Poland aren’t great individually at the back either. This should give Sadio Mane the chance to shine. JB: Brazil have looked strong under Tite over the last couple of years and seem to be the team with the least holes. I’m not convinced by Germany or France, I don’t think Spain have everything sorted yet from four years ago, and as much as I’d love to see Messi and Argentina win, their defence looks very average. So by the process of elimination, I think this will be Brazil – but if ever there’s a World Cup where there could be a major shock on the cards, it may be this one! LW: Spain. They seem to be back to their best tactically and have another formidable generation of players led by experienced/seasoned veterans. SMS: Either Brazil or Spain. I have a feeling it’ll be the latter and they’ll have to break down plenty of buses if they are to do so. The only thing they have going against them is history in the tournament but they have such a great squad. SC: Pains me to say it, what with the presence of Neymar being a thoroughly unlikeable footballer at the moment, but Brazil are looking pretty darn good. They generally go far when it’s not quite clicking, but it seems to be properly clicking at the moment, so could all come together. TS: Spain. They have the best goalkeeper and defence at the tournament, a midfield that link-up together almost like a club side. They won’t need to score three goals a game to win the tournament. JB: There are two teams that I’m really interested to see how they do. One is Argentina – it’s Messi’s last stand as far as international football is concerned, and he’s surrounded by great attacking talent with an intriguing manager in charge in Sampaoli, but they can’t defend. They could be fun to watch. The other is England – for the first time, the team is largely free of ego, with a pragmatic young manager in charge who has experience of playing in a modern World Cup himself. I’m not quite sure how this team is going to look and that’s a good thing – England have been far too predictable in the past, and this team seems a lot more exciting for not being that. If they can find a way of bringing Harry Kane into play more than Hodgson did in 2016, they could go far – it’s been far too long since England actually met expectations in a major tournament, and it would be a nice positive story! LW: The atmosphere made fans coming from all over the world and the passion/patriotism from players ready to die for their country. SMS: Heading out to my first World Cup! Wall to wall football coverage in the group stages, especially that section where there are four matches a day. And then the drama and tears of the knockout stages. Mbark Boussoufa. An African nation beating a European nation. Whether Aliou Cisse and co. can work their 2002 magic, or something like that. Also, seeing how England do as for the first time in a long time I’m genuinely excited about an England team going to a World Cup. SC: Morocco vs Iran – This is going to be a really dour game of football. The 3rd game of the tournament, after two previous games which will also probably be terrible, I’m looking forward to the moaning about ‘not being entertained’ and ‘lack of quality outside Europe and South America’, and basking in an intentionally contrary position. I love laughing at entitled football fans, and I think everyone at SFG secretly does too. TS: Mbark Boussoufa playing in his first World Cup at the age of 33. Watching him go up against the likes of Iniesta and Busquets will fun to watch.